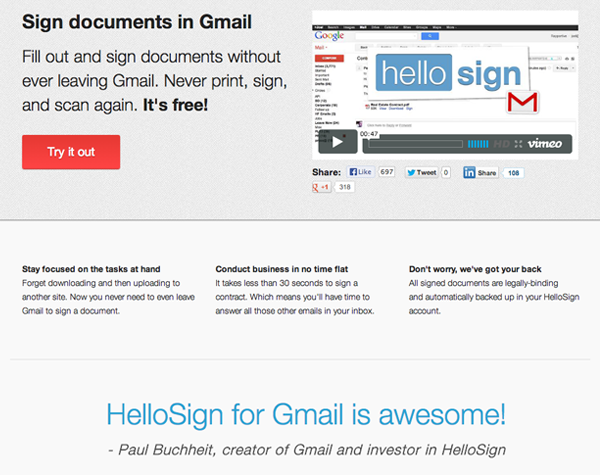 HelloSign for Gmail is a browser extension for Chrome, FireFox and Safari that lets users fill out and sign documents without ever leaving Gmail. 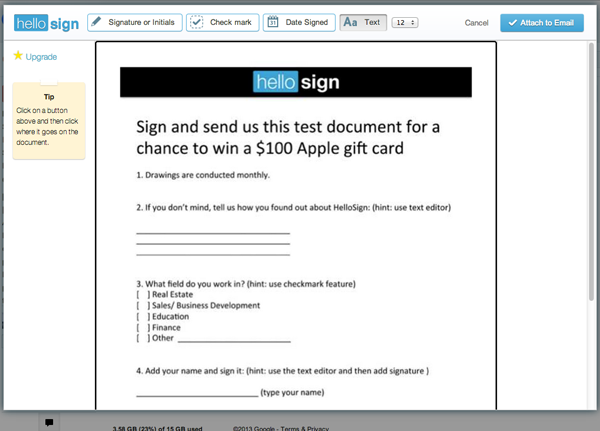 The user clicks the sign button next to an attachment and the file is uploaded to HelloSign and the HelloSign editor is opened in a lightbox for the user to sign and make annotations. When the user clicks Continue the iframe closes, a compose window opens in Gmail (as if the user had clicked reply) and the signed document is attached, ready to be sent. 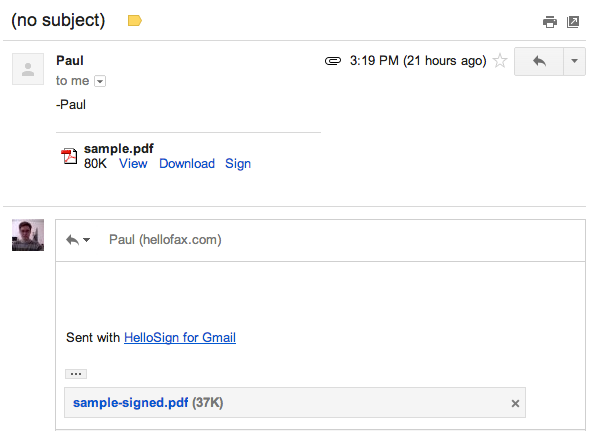 After installing the extension at hellosign.com/gmail users are directed to Gmail and sent a sample document. 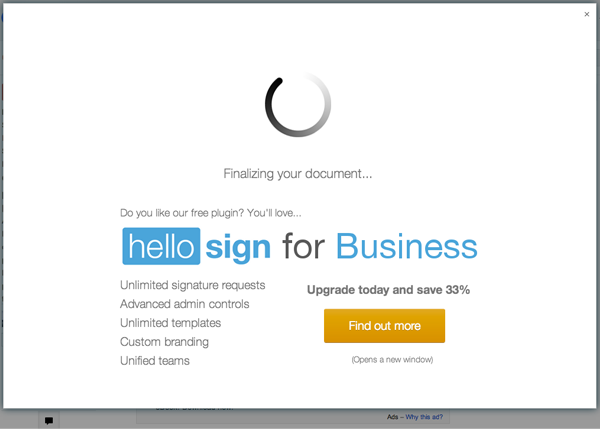 After clicking the sign link the HelloSign editor opens over Gmail and loads the document. When clicking “Attach to Email” the document is converted into a PDF.. It took weeks to build and it was a lot of fun. Probably my favorite project I’ve worked on at HelloSign, even more so than the iOS app. We’ve heard from tons of people about how much they like the new extension and it’s been written up by a few high profile sites including Forbes and LifeHacker.